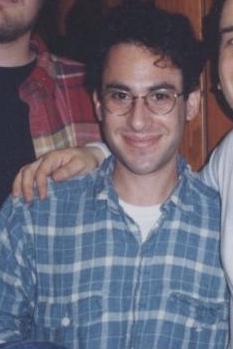 Weinstein with the crew of The Simpsons in 1994. 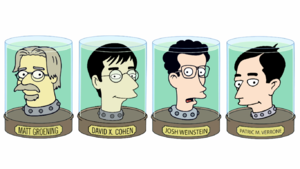 The heads of Matt Groening, David X. Cohen, Josh Weinstein and Patric M. Verrone as seen in the second Futurama podcast. 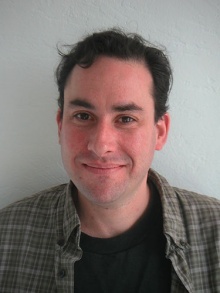 Josh Weinstein is a producer and writer for Futurama. He is best known for his work as an executive producer and head writer on The Simpsons. He and Bill Oakley were The Simpsons showrunners from season 7 to season 8 plus some episodes of season 9. They both were consulting producers of season 3 of Futurama as well. Weinstein was nominated for Writing in a Television Production for "All the Presidents' Heads" at the 39th Annie Awards. David X. Cohen mentioned in an audio commentary  that Weinstein's favourite character is Boxy Robot. This page was last edited on 5 May 2014, at 21:36.